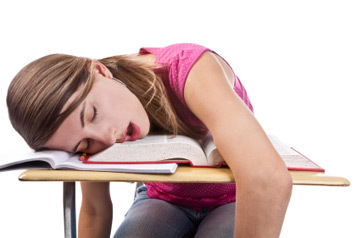 The CDC warns that kids and teens don’t get enough sleep due to early morning classes. The start time preferred by most US schools endangers the health of millions of high school students and middle school students. Sleep-deprived kids and teens are often overweight, suffer from depression, perform poorly in school and adopt various risky behaviors. The researchers shared that only one in five (1 in 5) US students begin the day at 8:30 am, or later. However this is the start time that the American Academy of Pediatrics keeps recommending. The National Sleep Foundation also recommends that teens with the age between 14 and 17 should slept 8 and 10 hours each night. The problem is that when children reach puberty their “biological rhythms commonly shift so that adolescents become sleepy later at night and need to sleep later in the morning”. Accommodating such a schedule would mean that all the other age groups would also have to change their start time. If schools would allow high school students to start the day at 8:30 am, middle school students would have to start the day 30 minutes later than them, and elementary schools students would have to start the day an hour and 20 minutes later than them. But little kids depend on their parents to get to schools and most adults would not get to work on time if schools adopted such a schedule. For their study, the researchers took a look at 40.000 public schools and tried to figure out what the general start time has been for the 2011 – 2012 school year. They found that most schools begin the day at 8:03 am. The study was published earlier this month, on Auguts 7, 2015, in the CDC’s Morbidity and Mortality Weekly Report. The CDC researchers did mention that some states are actively trying to shift the start time as much as they can without inconveniencing the other students, however most of the 50 states faired poorly in the study. Between 75 and 100 percent (75% and 100%) of public schools in 42 sates begin the day before 8:30 am. Louisiana proved to be the worse of the worse as the state’s average start time turned out to be 7:40 am.